First built in 1906 after receiving a grant from Andrew Carnegie, the library is over 100 years old and is proud of its heritage and excited about the future. 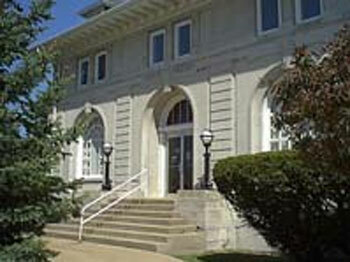 The Mason County District Library, with a branch in Scottville, first opened in March 1906 with 2,500 books. Today, there are close to 70,000 books, as well as computer stations that the public can use for free. The goal of the library is children's literacy--encouraging children to read--engaging their minds, hands, and curiosity. Check out their website at www.masoncounty.lib.mi.us to learn more about the Mason County District Library. Ongoing events for children throughout the year include preschool story and craft time, youth chess, after school crafts, and book club for 6 year old readers and up. Summer is a wonderful time at the library, which features magic shows, puppet shows, circus day, and summer craft classes. Despite all the stimuli in today's world--from movies and television to video games and ipods--it's nice to know that libraries will always be here. 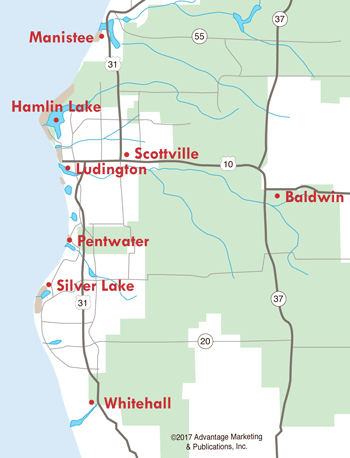 The Mason County District Library is an integral part of our Ludington community, and will be for years to come.